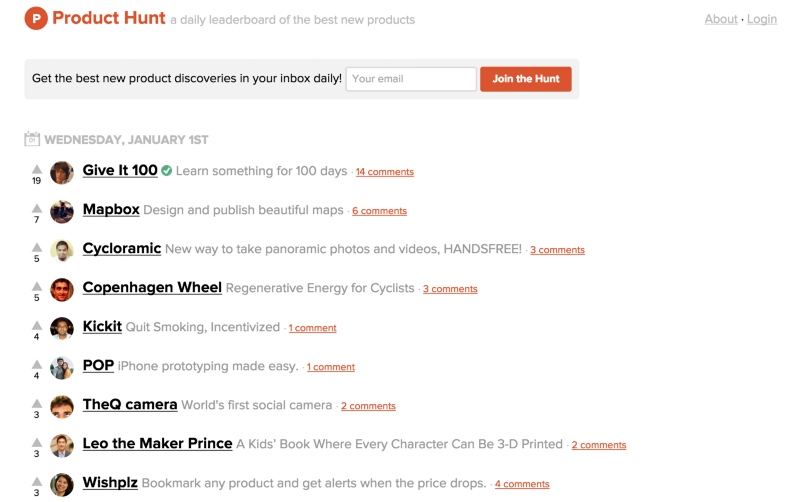 It’s been a fun year for Product Hunt. Here’s what happened, told in numbers. Brian Lovin, Rick Klau, Brenden Mulligan, Ryan Hoover, Alexis Ohanian, Kevin Rose, Hiten Shah, Andreas Klinger, Eric Willis, Guy Gal, Robleh, Tori, Floyd Miller, Martin Bavio, Jord Riekwel, Emiel Janson, Ali R. Tariq, Kiki Schirr, Jonathon Triest, Bram Kanstein, Adam Kazwell, Ece, Justin Thorp, Erik Torenberg, David Spinks, David McKinney, Kevin William David, Marc Eglon, Michael S Galpert, and Hunter Walk. Point: Awesome link sharing/commenting with friends. Fun fact: Product Hunt’s email list MVP was born at the Golden Gate Philz location. See what’s coming up in 2015 and stay tuned for our next big meetup in San Francisco. 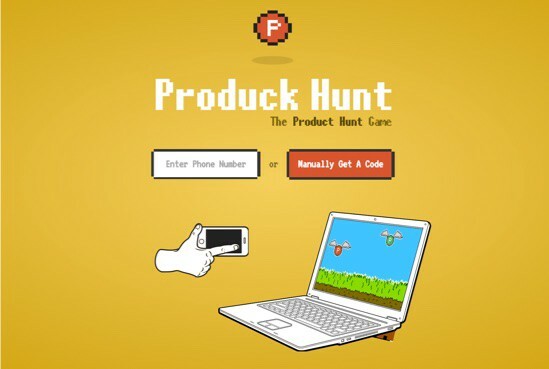 Congrats to Greg Koberger for taking 1st place with the delightfully retro, Produck Hunt. See more awesome community-created apps and take a peek at our API docs if you’re feeling creative. 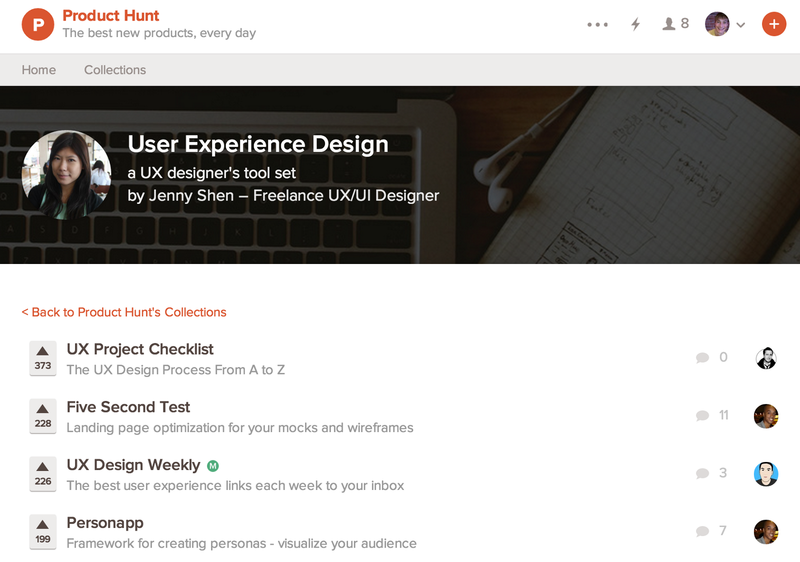 It’s only been a few weeks since its launch and already many of you have curated some really creative and useful collections. Become a gif master: Tools to find, make, and share gifs with the world. Check out more of the Featured Collections. We’ve been on a hiatus but we’ll be back early next year! In the meantime, listen to the backlog. 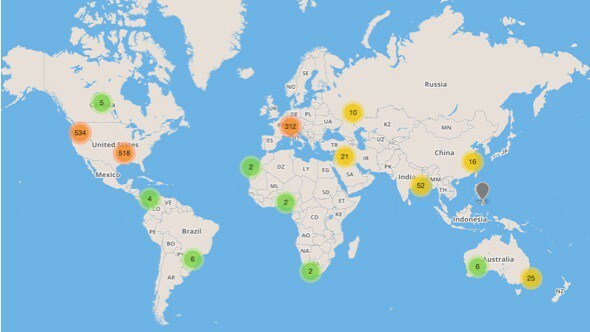 As Isaac’s MapHunt show (pictured below), products surfaced on Product Hunt are made all around the world. Thanks everyone — my teammates, investors, and of course the community — for all the support this past year and on a more personal note, changing my life. Product Hunt is a joy to build and I’ve been fortunate to meet several awesome people and learn so much in the past 6 months.